There is a lot of nonsense talked about Islamic Terrorism, the most irritating is the confusion over the use of the word “fundamentalist”. 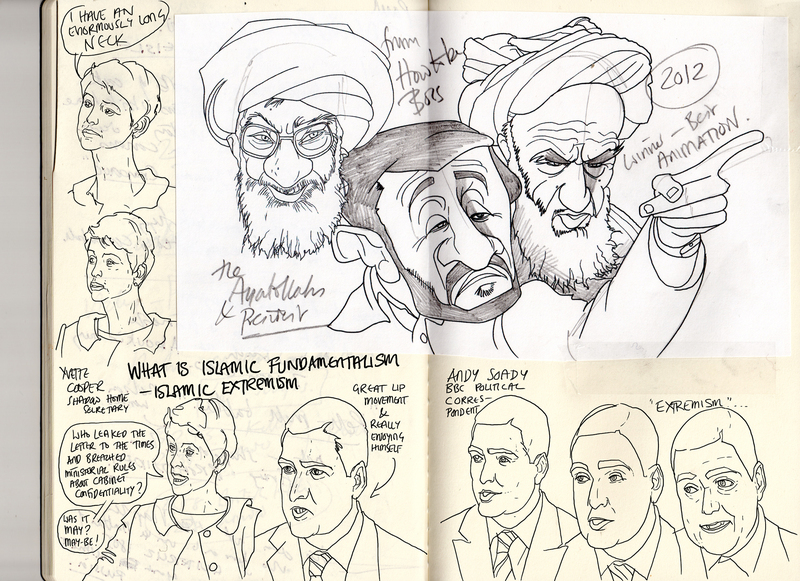 All Islam is “fundamentalist” because Islam insists on the literal meaning of the words of scripture, the Koran. That said, in fact, there remains room for balancing one statement against another, but the 19th Century criticism that dominates Biblical scholarship is completely foreign to Islam- source criticism and form criticism, the idea that a story may be mythological, or not literally true. This is not a part of Islam. It is so much a part of Christianity that sometimes we impose our methods of interpretation and our expectations wrongly on one another. As 300 years separate the active ministry of Jesus from the establishment of the canon of Christian Scriptures, there is alot of room for embellishment and textural variants. In the case of Islam, there is very little time between the institution of the Religion and the writing and dissemination of the Koran. The text of the Koran remains broadly what it was, and there is a tradition in Islam of resisting translation, and translation for all its advantages and disadvantages is something that Christianity embraced right at the beginning. 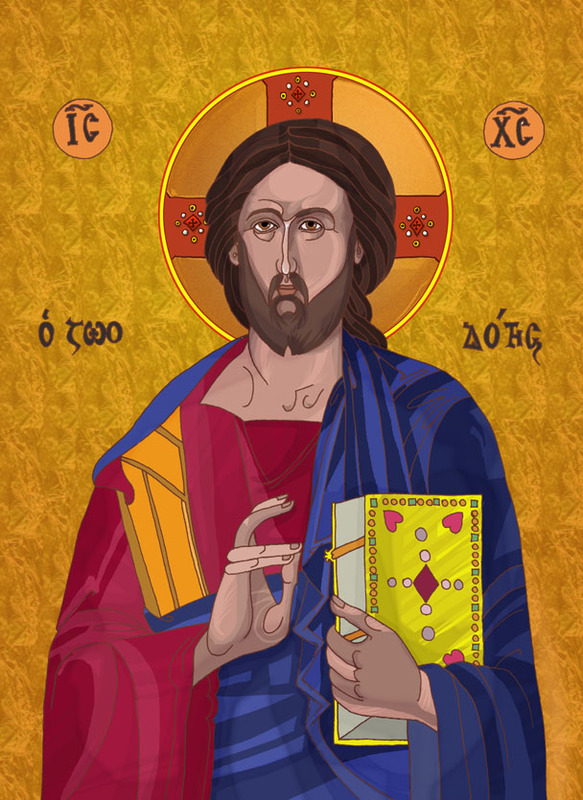 So Jesus spoke in Aramaic and his words are printed in Greek, and in the UK at least, best remembered in an english translation fro the 16th Century littered with acknowledged errors. The Jihad is a fight, not a war- the word (al-Harb) literally means “struggle”. Because of its use in modern terrorism, the word and the concept is often misunderstood. It can mean the “Great struggle”, the personal effort to conquer sin, or the “lesser struggle”, the Holy War or military Jihad. But even in this secondary meaning, the rules are very clear: Holy war must be declared by a proper authority, must not harm children, women or the sick and all peace offers from the enemy must be accepted. The Jihad should not be against Jews or Christians who are “people of the book” and must be protected and respected. At the end of a campaign, the Prophet told his followers, “This day we have returned from the minor jihad to the major jihad.” In other words, now the military campaign is over, we must get back to the proper business of fighting sin, battling our own personal daemons. That is the more important struggle and the real jihad. Now, while the text of the Koran is a solid and authentic text, the hadiths are not and some hadiths are judged to be more important than others. In the same way, some opinions of Islamic jurists are considered more important than others. Imran Shafi’i believed that Sura 9.5 and 9.29 permit a war against non-muslims until they repent and accept Islam. The corresponding Hadith sums this up- Here we are: “I have been ordered to fight the people until they declare that there is no God but Allah and that Muhammad is His Messenger, establish prayers, and pay zakat. If they perform all that, their blood and property are guaranteed protection on my behalf except when justified by Islamic laws. Then their accounts will be done by Allah.” Fairly scary. But these verses must be seen in the context of 9.6 which proposes an alternative that non-muslims, living in an Islamic community, and therefore receiving the protection of that community, might not convert to Islam but might pay a tax instead, as compensation: “and if anyone of the polytheists seeks your protection then grant him protection…” (9:6) The next verses stress the importance of keeping the promises made to non-muslims and respecting the treaties established. Moreover, when we look at this verse from the hadith in more detail, the first sentence should be clarified because it says “I have been ordered to fight the people until they declare that there is no God but Allah”. The word fight (saws) used here is significant. It does not use the word “kill”- it is about defence against someone who is attacking the religion; it does not sanction execution, and is at a far remove from the savagery of ISIL. In other words, while scary verses might be worrying, reading the whole Sura puts them in context. The Prophet never forced conversion and nor did his immediate successors. Since the Iranian Revolution, there has been a rise in Islamic-sponsored terrorism. This may in part be coincidental. There are a number of purely secular organisations that have adopted suicide as a weapon of choice- the Tamil Tigers (LTTE), who used suicide bombs in their war against Sri Lanka and who famously were behind the assassination of the Indian Prime Minister Rajiv Gandhi; the PKK (Partiya Karkerên Kuridstan), the Kurdish party in Turkey though it only seems to have used the suicide option 15 times; and the pro-Syrian rebels in lebanon in the 1980s. These groups had embraced a variety of political ideologies and the works of Mao, Lenin and Guevara are significant. But it is in Iran where the real problem lies because the Ayatollah Khomenei returned from exile in Paris, fuelled by a passion to interpret the Koran according to the political ideologies he had discovered in Paris. This led to the death of 13 year old Hossein Fahmideh in 1981, the first Suicide bomber in modern times to be hailed as a Shahid, martyr. 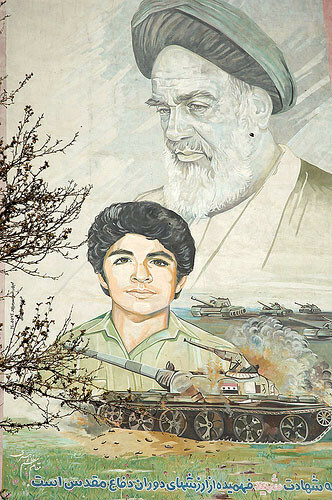 Posters appeared throughout Iran of the boy shown together with Khomenei and the Ayatollah said that Hossein had “the keys to the kingdom”. There is nothing at all in the Koran to suggest that a suicide bomber gains automatic entry to Paradise, and indeed there is alot of very specific information to say that a suicide victim is automatically excluded from Paradise. Today, there are ideologies that mix politics and religion- so the Muslim Brotherhood looks to the works of Sayyid Qutb, or Hasan al-Banna and Palestine to Abdullah Yusuf ‘Azzam, a man who significantly influenced bin Laden. It is not possible to divorce modern Islamic terrorism from religion, but it is certainly not true to say that Islam supports or even condones this activity. My understanding is that islam is in a process of change, embracing the challenges of the modern world. One of these is that texts can be open to a variety of interpretations, something that Islam had tried for a long time to prevent. One of these interpretations, for instance would be Wahabiyism, and another are the terrorist dictats imposed on Islam by Ayatollah Khomeini. I am sure, in time, other interpretations of Islam will emerge, many more favourable to Western values, and I am also sure that, in time, the terrorists will fail both in their overall mission and in their interpretation or hijacking of one of the world’s great faiths. This cannot be clearer, and more to the point, is unparalleled in the Bible no matter what the later Church may have to say against suicide. Islam takes a stand on suicide that goes back to the original and fundamental text of the religion. It is there in the Koran itself: Do not kill yourself. Suicide, moreover, is regarded as murder in Islam. There is even debate about whether the funeral prayers (janazah) can be said over the body. The image presented of the afterlife is not so different to that envisaged by Dante (canto XIII). 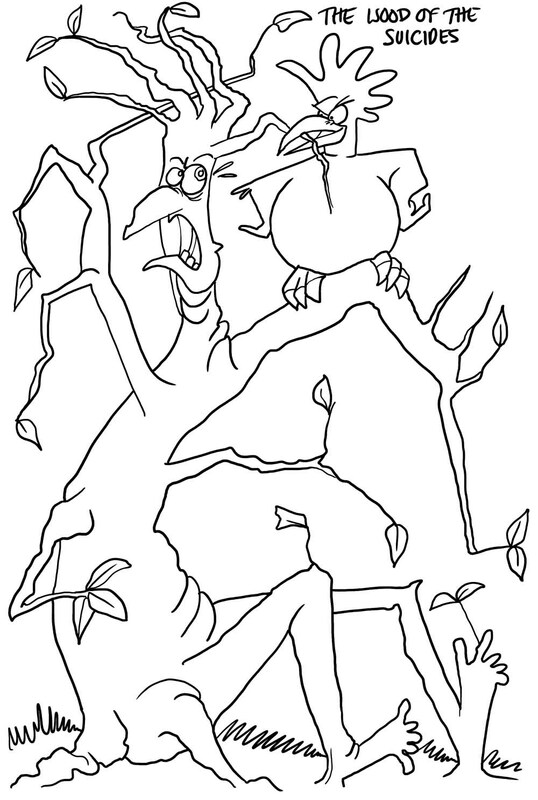 There, the suicides occupy a circle of violence and they are denied even the dignity of human form, growing into trees and tormented by the Harpies who fly through the forest and “rend the branches off the trees”. At judgement day, the suicides alone will never be reunited with the body they once abandoned. “Wrong it is,” says Dante, “for a man to have again what he once cast off.” Instead, their bodies will be draped over the trees, to be forever a sign of what they failed to treat properly. “Whoever throws himself down from a mountain and kills himself will be in the Fire of Hell, throwing himself down therein for ever and ever. Whoever takes poison and kills himself, his poison will be in his hand and he will be sipping it in the Fire of Hell for ever and ever. Whoever kills himself with a piece of iron, that piece of iron will be in his hand and he will be stabbing himself in the stomach with it in the Fire of Hell, for ever and ever.” Narrated by al-Bukhaari, 5442; Muslim, 109. “Whoever kills himself with something in this world will be punished with it on the Day of Resurrection.” Narrated by al-Bukhaari, 5700; Muslim, 110. Much more telling, however, is the story of a man who killed himself: “Among those who came before you there was a man who was wounded and he panicked, so he took a knife and cut his hand with it, and the blood did not stop flowing until he died. Allaah said: ‘My slave hastened to bring about his demise; I have forbidden Paradise to him.” Narrated by al-Bukhaari, 3276; Muslim, 113. This is a serious issue: the man had been wounded in battle, death was inevitable but by killing himself, he commits a sin that puts him beyond sympathy. Surely, this is similar to the suicide-bomber who knowingly kills himself! In this case, the Prophet refused to attend the man’s funeral, though as a Muslim he was buried according to the proper custom. There is not in Islam the idea that existed in Christianity that a suicide should be put in unconsecrated land. This seems to me a very touching story. The suicide victim deserves a proper burial and our prayers, but is denied the formal trappings of the funeral service. Often, today, an Imam will not attend. The english word “martyr” comes from the greek for “witness”. It is already therefore an ambiguous word. The problem comes when suicide is specifically redefined as it was by Ayatollah Khomeini as “martyrdom” in part of his wider vision of Islamic Government “Hukumat-i Islami”, a Shia inspired vision of a state spreading from Iran, through Iraq and to Lebanon. There are various other claims made about the martyr- that he or she does not feel the pain of death, (Fada’il al-Jihad, 26:1663), that his sins are forgiven and he enters Paradise. There, he can intercede for his friends and family. Powerful stuff. But then, Christianity says much the same! Tertullian is credited with the phrases, “the blood of the martyrs is the seed of the church.” He did not quite say this but you have to check the text fro the correct wording ( Tertulliani Apologeticus Adversus Gentes pro Christianis*) Revelations 2:10 promises a “Crown of life” to the martyr. “Be faithful until death, and I will give you the crown of life.” Revelations 20:4 guarantees them a 1000 year reign with Christ. The account of the martyrdom of St Polycarp is an early story which suggests Polycarp was given Divine assistance to face his death. A voice is heard telling him to “man up” – “Be strong, Polycarp, and act like a man” and when he was burnt, a holy smell of incense was given off. His reward was a direct passage to Heaven (The Myth of Persecution Candida Moss 2013). There is even a hint that martyrdom might be a career choice in Matthew 10:39: “Whoever finds his life will lose it, and whoever loses his life for my sake will find it” and this was certainly exploited in the early Church though I fancy that the real aim of the admonitions in Matthew is to be prepared to suffer, “Blessed are you when people insult you, persecute you and falsely say all kinds of evil against you because of me”(Matthew 5:11). With St Ignatios of Antioch, Origin is particularly remembered for his desire to be martyred. Instead, he castrated himself. Not quite the same thing. St Clement advises caution and recognises that, though the true Christian does not fear death, nevertheless, he must not be in a rush asking for his death. That would bot be a martyrdom but committing a kind of suicide, against God. he complains about people with a martyr-cult being like the Indian ascetics who throw themselves in fire. For St. Clement, martyrdom is a daily experience, a good witness to Christ by words and work and by all man’s life. Does this not seem very similar to Mohammed’s statement about the “Greater Jihad”? Once Christianity stopped being illegal under Constantine, it was harder to be a martyr, of course. Now, what does all this tell us? That Christianity and Islam share a common interest in the idea of Martyrdom, that fanaticism lies just round the corner and that the real challenge is to wage a daily struggle against sin. And I should add that Christianity might have drawn inspiration from the martyrs in 1 and 2 Maccabees or even the death of Cato the Younger who wanted to make a point in the most dramatic fashion possible, would not even accept a pardon. 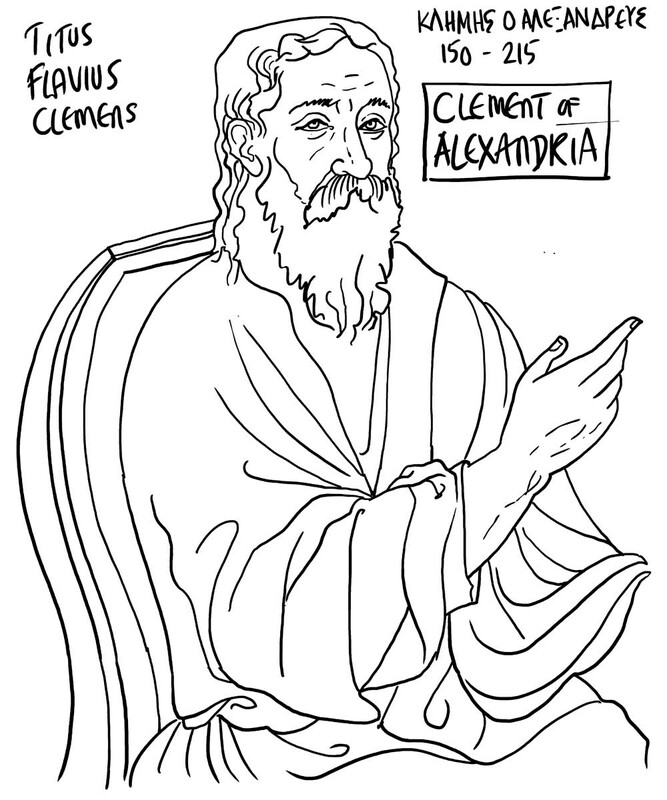 St Clement of Alexandria thinks that provoking the enemy risks a form of suicide and in his Commentary on John, advises Christians to run away and to avoid confrontation with the authorities if at all possible, certainly if this can be done without recanting or denying the faith. He regards this as a form of Charity because this stops the enemy from committing the far graver crime of murder! The broadening of the definition of martyr had started very early in both Islam and Christianity with a move towards asceticism. I would identify the Ayatollah Ruhollah Khomeini as the true author of modern suicide bombing. In that sense, he is responsible for interpreting the texts of Islam so they favour suicide. That makes him an “interpreter of Islamic texts”, a long way from a “fundamentalist!” However, there is some evidence that the suicide bomber has an earlier history in conflict in the Philippines (1500 onwards, but particularly in 19th Century) with the MORO MUSLIMS who attacked with mag-sabil and Parang- sabil. The Spanish called these suicide attacks “juramentado”. So, Khomeini could be said to be simply reviving something. Yet it is a revival he made his own and popularised. In 1995, Sheikh Ahmad Yasin, the Spiritual leader of Hamas, and later Sheikh Yusuf al-Qaradawi in Qatar, said that any suicide bomber who had received the blessing of a cleric, should be considered a “shahid”. In 1983 a suicide bomb by Hezbollah against the West was detonated in Beirut.- apart from the bomber, 63 people were killed. The Suicide was not in the original reports but it seems to me, despite claims about a so-called P2OG secret plan, that there is no doubt that this was an early suicide bomb. By describing a suicide bomber as a martyr, the terrorist suddently achieves the status of a saint: and here is one of the most worrying things about the cult of the “shahid” is the embellishment that has taken place – specifically that the martyr will have access to God, can intercede for his family and the community, so he or she is a “get out of gaol free” card for all local miscreants. there is a specific hadith that refers to this: “The martyr can intercede for seventy members of his family.” (Sunan Abî Dâwûd in the Book of Jihâd) and commentators project this both forwards and backwards in time: “The members of his family include his forefathers, his progeny, his wives, and others.” Moreover, Al-Manâwî says, “It is possible that the intent of mentioning the number seventy is simply to indicate a large number. Suddenly, it becomes clear why anyone might encourage a small child to die – if that means that poor child can sort out the salvation of his older sister who has gone astray and of his father who has fallen foul of alcohol and so on. This is a detergent with a particular and pernicious strength. Apart from the ideology of Khomeinei, there are two other factors that are important in the modern rise of the Terrorist Jihad. There is a particular Ideology that underpins the modern Jihad. The term jahiliya describes the age of ignorance that came before Islam. This is part of what Khomenei would have seen as a world oppressive to Islam, a world dominated by non-Muslim Superpowers. Today, there are people who have claimed that this Jahillya represents the modern West. In this respect, the idea that Christians and Jews are protected (albeit at the cost of paying taxes) is no longer guaranteed because they are felt to have gone astray and left the “original religions”.The second factor is the success of the first Aghanistan war against Russia. In Join the Caravan, Abdullah Azzam offers the following slogan, “Jihad and the rifle alone. 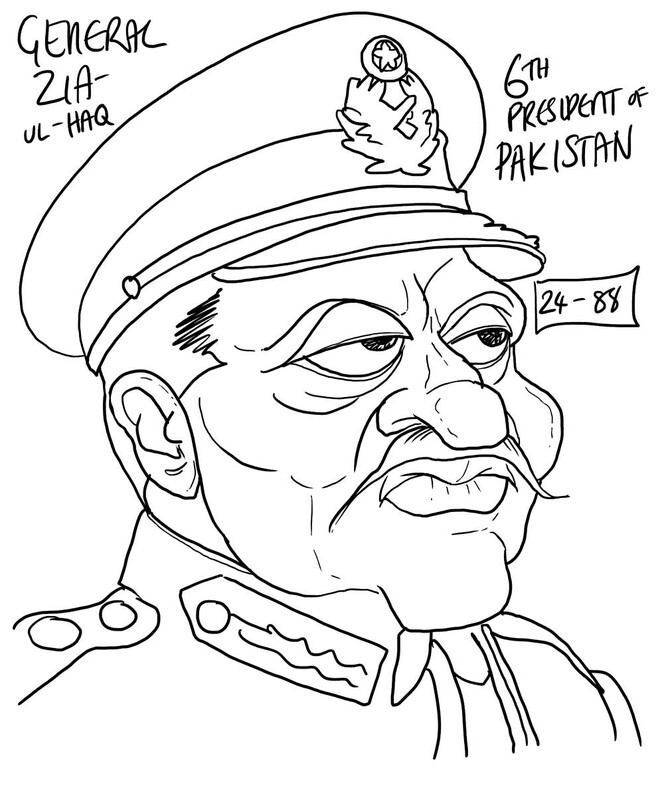 No negotiations, no conferences, no dialogue.” The success of the Mujahadeen against the USSR is made all the worse because it leaves behind an illiterate population that is picked up in Waziristan by extremist wahabist-clerics, imported at the request of General Zia, preaching a radical form of Islam. Such a population is easily brainwashed, treating women as third-class citizens, rejecting television and so on. This is the origin of the Taliban. Human trafficking, public executions, the desecration of Buddhist monuments, and the exploitation (and tax) of opium all followed. Again, some of the work on distinguishing real and false martyrdom has already been done by the Catholic Church which invests a good deal of time into the Canonization process and aims to be legally accurate in the way it describes its various saints. The early years of Christianity saw a number of “false” martyrs and of people who had been condemned but for one reason or another, survived and attained the status of “living saints” conferring indulgences on the gullible crowds that turned to them for help. Even today, there has been discussion about whether those who have been killed might be martyrs. We might think these discussions are obscure and academic, but it is these discussions, frankly, that need to take place in Islam, and without such discussions there will continue to be a popular confusion about the concept of “shahid”/martyr. Three principles emerge very clearly: 1) a martyr does not kill himself or herself. So the Buddhist monks in Vietnam who douse themselves in petrol are not martyrs, nor are people on hunger strike (Bobby Sands, for example and Terence McSweeney whose bishop refused him communion and last rites because he was on hunger strike); in addition, he or she does not seek death, though accepts it when it comes. (St Thomas More, Maximillian Kolbe and so on). 2) a martyr suffers violence and does not inflict it, and 3) Finally, a distinction must be made between martyrs who die for a cause and heroes or victims who are killed in the line of duty, die to save others or are victims of murder. Martyrdom involves a specific defence of the faith. This may not be a perfect way to approach the subject but it is a point of reference and I think it can be adapted to other faiths beyond Christianity. Certainly, these “rules” would make it clear that the suicide-bomber is not and can never be a “martyr”. To confront Islamic terror, we must recognise that Islam is developing and will certainly develop its own language, in time, to deal with this aberration. Perhaps, we must be careful not to impose Western standards or ideologies or indeed assumptions that we might or can challenge the veracity of the sacred texts, which will serve only to inflame the crisis. We need to create the environment where a proper understanding of a tolerant and mature Islam can emerge as the primary form of the Religion. This might be critical of Western values as indeed are many Christian and Jewish writers. But criticism is not a death-threat, and criticism can be healthy. More than that, there is lots we can and already have learnt from Islam. Our Western Renaissance is dependent on the collection of Indian and Greek texts translated by Islamic scholars, and we have a debt to Islam also for the great progress made in medicine and astronomy before the 19th century. I have no doubt that today we can learn more, but we have to pull back from this mad confrontation.